Aggressively stylish and geared for efficient performance and technology, the new Honda Accord offers much for drivers in and around West Babylon, NY to be excited about. This year’s Honda Accord Sedan comes standard with safety features like Honda Sensing®, dual-zone automatic climate control, and a 278-hp V6 engine for unbelievably refined power! Schedule a test drive online, or take a trip from West Islip to browse our inventory today! We’re open Monday through Saturday. Why Buy a New Honda Accord at Babylon Honda? 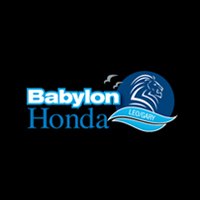 At Babylon Honda, we’ll help you figure out if the Honda Accord Sedan is best for your travels around Lindenhurst by comparing it to the Honda Civic. Let us assist you in getting a car loan or finding a lease deal for a totally stress-free experience, and explore all the trim levels available for the Honda Accord to find the features you love at a price you can smile about. Be sure to explore the Honda Accord safety features!